For Android smartphones, the last two years have been all about feature upgrades rather than new technologies. Fingerprint scanners are better, camera sensors and software are more robust, average screen size is bigger than it’s ever been, and so on. But nothing really new has broken over the horizon. 2019 will be very different, if recent developments are anything to go by. Here’s a look at what features we can expect for Android smartphones to be released in 2019. The much-touted 5G mobile technology will finally get the hardware it needs, with Qualcomm all set to launch its Snapdragon 855 SoC (system on chip). Google Pixel 4, Samsung Galaxy S10, OnePlus 7 and other flagship Android devices are expected to sport this sizzler under the hood, making them faster than ever. Most importantly, they’ll support 5G technology, which is on the verge of going mainstream. We’re all familiar with iPhone’s portrait mode, generically known as Bokeh, and we’re now seeing it on a lot of Android phones. Now, Bokeh is expected to make its way into videos. It requires AI, and Qualcomm’s new chip supports it with computer vision technology. It works in real-time to render the foreground images in a clear and crisp manner while creating a fuzzy background. It is supposed to help you focus better on the subject of the video, and could work pretty much like how Bokeh on still images does. But it remains to be seen how effective or popular the feature will be. We saw the advent of dual camera sensors with iPhone 7 Plus, and the Galaxy A9 (2018) sports a quadruple camera setup on the rear. But how far can we take this? 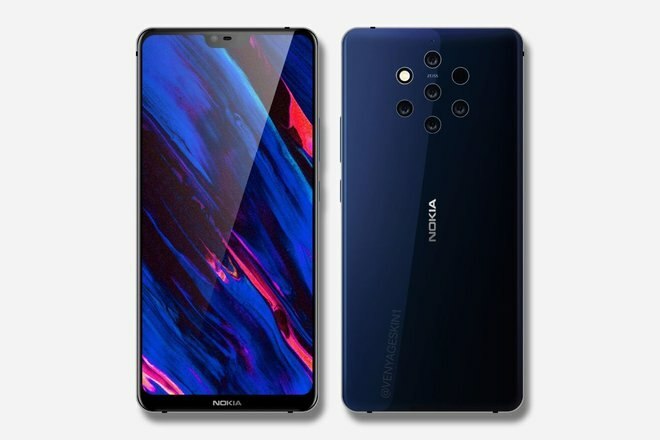 The Nokia 9 is expected to break all precedence and boast no less than five camera sensors on the back, but will it truly make a discernible difference in image quality? We don’t know when the phone is slated for release, but we anticipate testing it out when it does. We’ve been waiting for this feature for a long time now. Samsung was supposed to do it as early as last year, but nothing came of the Galaxy X, as it was called. 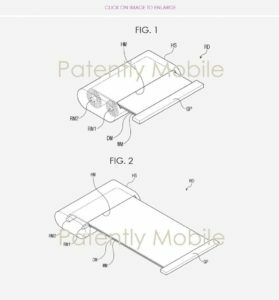 Now, we’re looking at a possible “rollable” phone called Galaxy F slated for 2019. The rollable OLED display will certainly be an evolutionary leap for Android smartphones, but is it practical? You can bet Samsung will focus heavily on quality where such a feature is concerned, since OLED screens can only be stretched out a certain number of times. It will be interesting to see how they’ll pull it off. Meanwhile, Microsoft could be hiding a foldable device up its sleeve, and it is rumored to come preloaded with Lite OS, a mobile-based operating system that will be very different from Windows. The most recent information suggests that it could make its first appearance at the Build 2019 developers’ conference around the middle of 2019. So there you have it. This is what we’re expecting to see in 2019. Could it be a “leap year” for Android smartphones? Yes, if what’s been teased actually makes it to store shelves.